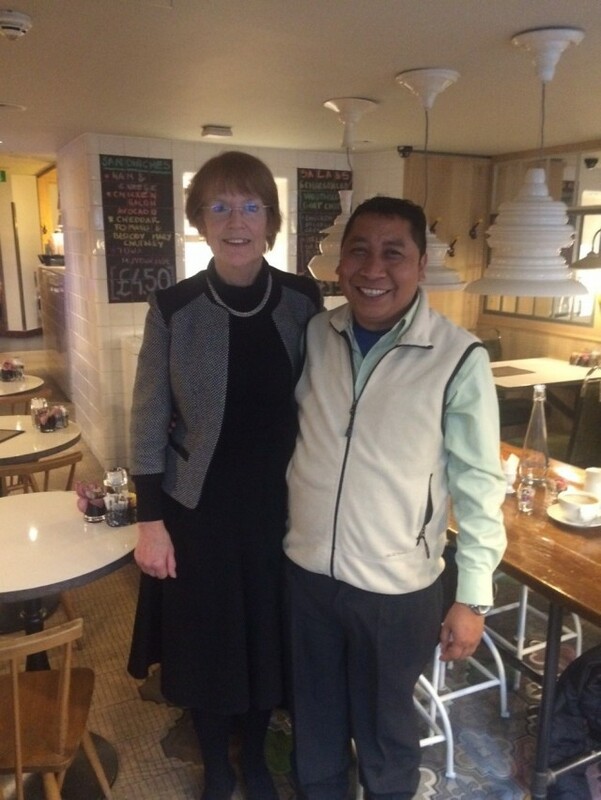 On 23rd November the BFSS Director, Imogen Wilde, had the opportunity to meet Jorge Castillo, pictured below, Head of Secondary at the School of Hope run by Education for the Children Foundation (EFTC) in Guatemala. EFTC supports the education of children and young people living in poverty by providing them with an education at its School along with food, healthcare, counselling and social support to ensure that the children stay in school and remain healthy, see . In 2014 BFSS gave EFTC a grant of £8,500 for a training needs analysis followed by suitable training courses for teachers at EFTC’s schools in Guatemala. Part of the grant is being used to support Jorge to undertake a part-time Masters in Innovative Education in order to help bring about sustainable change in the School. Imogen took the opportunity to ask Jorge about the benefits of his university studies and how he in turn was acting as a trainer to other teachers in the School. He explained that his Masters course was providing valuable up to date insights that he was able to share with other staff members. These include a variety of new skills such as classroom and behaviour management and the latest teaching methodologies and strategies including encouraging a focus on learning rather than simply memorising, encouraging more group work, making lessons more interactive etc. He also hopes to share his new skills with other teachers in local schools and become an agent of change within the local school system. ← Grant for Supporting Study Skills Sessions in Hackney and Hastings.